I don't know about you, but I think candy corn and Halloween just go hand in hand! You can't have one without the other. I know you are dying to check out one of the newest costume ideas! These candy corn witch costumes are super clever and very adorable. These are my six favorite candy corn witch costumes for kids! Come take a look! 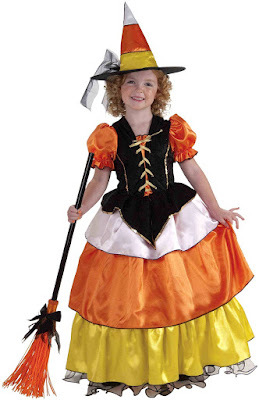 Don't you think this candy corn witch costume looks like something a fairy godmother would wear? Her outfit is by far my favorite, because of how elegant she looks. The elaborate layers of her dress are a wonderful feature. This is a very cute children's trick or treat costume. I think what sold me is the black and orange striped tights, which would be great for all the costumes! 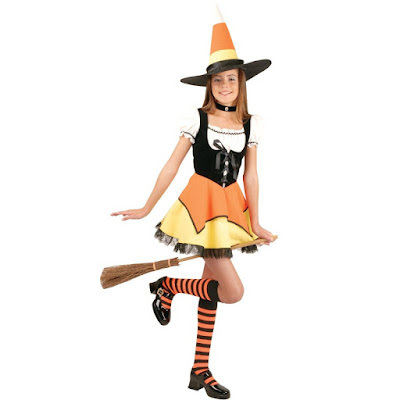 The skirt on this sassy candy corn witch costume isn't as poofy or overwhelming. The hat, on the other hand, looks really tall! This Leg Avenue Kandy Korn Witch costume has the best ruffled skirt. I prefer the lighter hues of orange and yellow, what about you? For a junior costume, the candy corn cutie is decent. It's very effortless and cute, so it doesn't require a lot of work for your Halloween party. 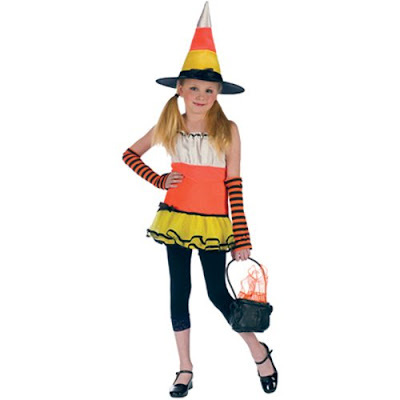 I enjoy this candy corn witch costume because it's different than the others. 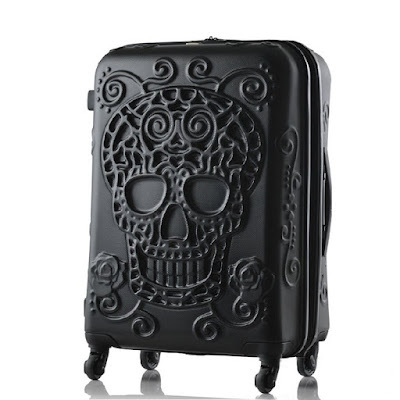 It's quite stylish and very simple in design. I know when I was a kid, candy corn wasn't my favorite candy, but just seeing it put me in the holiday spirit. Now that I'm older, I actually enjoy candy corn! I think I need to find a candy corn witch costume in my size! 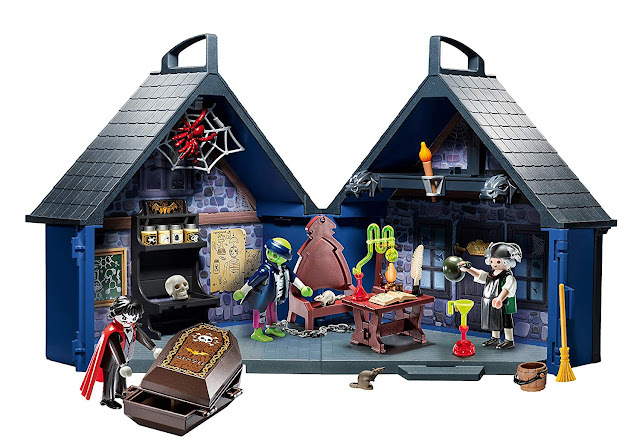 These are very cute and easy to put together. What do you think of this idea for the kids? Make sure to comment below and let me know what you think!